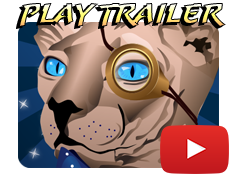 Cute Internet Kitties - It's a plot! Evil Dr. Kitkat has a nefarious scheme to take over the world and is using cute kitties to do it. Humans are completely in his thrall by internet mind control. It is up to you, Erin Pepper to defeat him. You have set up a blazing fast coaster to clear the house of as many cute kitties as you can. 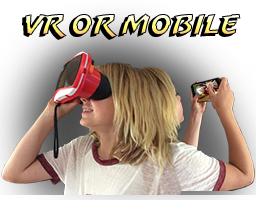 Play with your favorite Cardboar VR set or play right on your mobile phone. Kat Atak Coaster is the perfect VR game to give to mom who wants to try VR but needs a fun and simple experience.